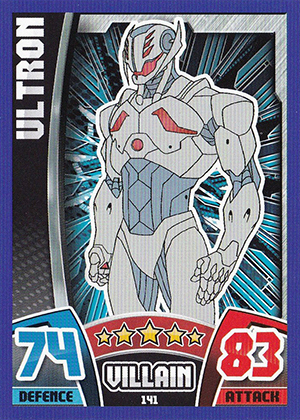 2015 Topps Marvel Avengers Hero Attax is the fourth line of Attax gaming cards based on the comic universe. 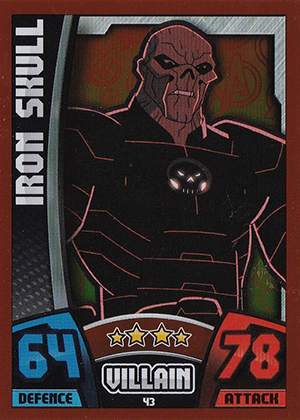 Besides offering the usual assortment of character-based cards, there are some that highlight the Avengers: Age of Ultron film. 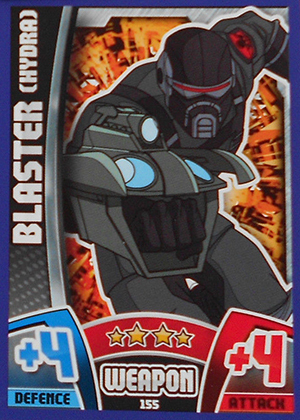 The main checklist has a total of 207 cards. These break down into several subsets. 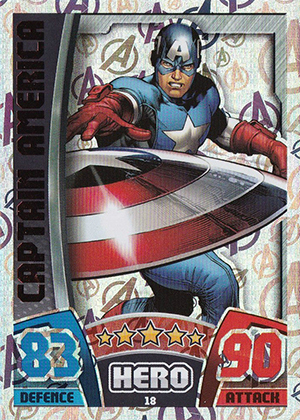 At the top of the checklist there are Holographic Foil, Avengers Holographic Foil and Mirror Foil cards that make up the product's premium content. 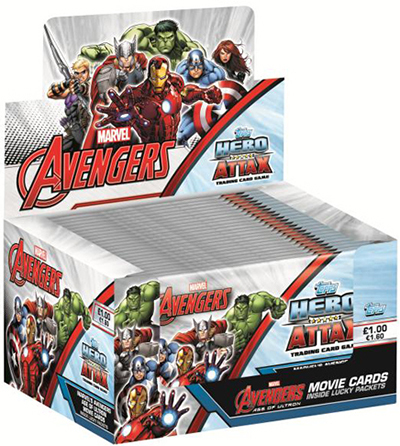 Within the base part of the release are lots of cards for heroes and villains as well as weapon cards and a couple of puzzles. 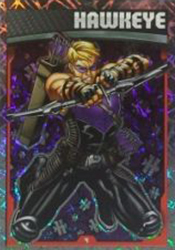 On top of the main pack-inserted cards, there are three additional Limited Edition cards that are only available in certain products like tins and starter kits that come with albums. 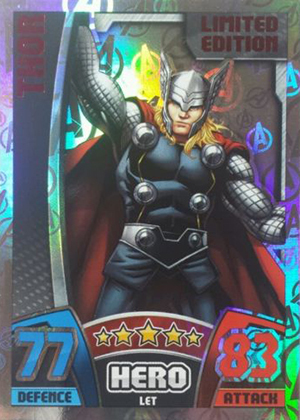 2015 Topps Marvel Avengers Hero Attax aren't traditional trading cards. 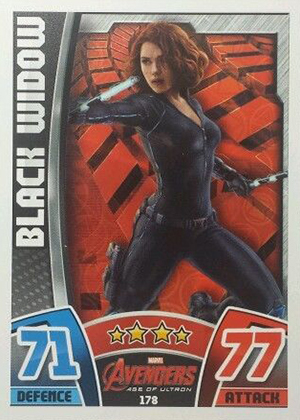 They're a collectible card game, although they come in packs like regular trading cards. Game play is simple and can be picked up by most ages. This set wasn't originally offered to North American collectors. Rather, it's a release handled by Topps' European arm. That said, it can be found online so it's not too difficult to get.